probably has at least one scientist keeping an eye on it. 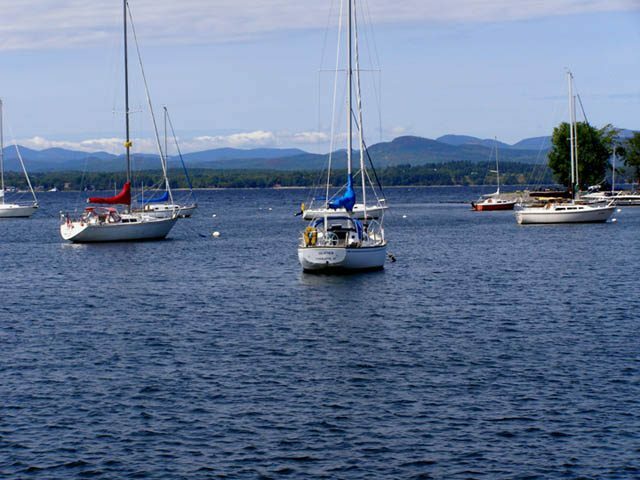 Lake Champlain is no exception. has its share of scientists… and Mary Watzin is one of them. birds, and other water wildlife. receive a daily dose of these active chemicals. coming into the wastewater treatment plants and coming into the environment. somewhat private topic is yet another question. Carbon Dioxide Injection to Reduce Pollution? into saline aquifers up to ten thousand feet below the ground. quarters of Illinois, into Western Indiana and Western Kentucky. moves away from using fossil fuels. emissions, such as sulfur dioxide, nitrogen oxide, and mercury. This map is used by car sharing members in Ottawa, Ontario. 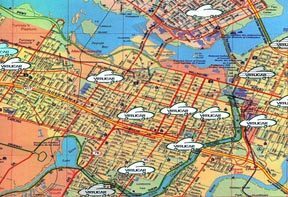 It shows the location of cars available for pick-up (Image courtesy of Vrtucar – Ottawa, Ontario). Want to know more about car sharing? wheels the stroller over to a black box attached to the side of a building. members, and they share 11 cars. The cars are parked all over the downtown area. use a car, she calls an 800 number to reserve one. war Europe. The first North American company opened in Quebec in 1994.
to spring up in places where owning a car has become a hassle. Nathalie Buu says she uses the car for big shopping trips or to attend meetings in the suburbs. And she says she rarely has trouble getting one. for parking, insurance, maintenance or gas on a car they’d only use a few times a month. Automobile Association. They estimate it costs about 5 thousand dollars a year to own a new car. Plus, Wood argues, car share members use their cars more wisely. Not everyone joins just to save money. Nathalie Buu says her choice was a more personal one. the kind of environment that she’d like to live in. Pay-Per-Mile Insurance a Fairer Option? The flip side of it is, to work, everyone would have to be charged on a per mile basis. companies that are studying the idea. New Air Regs to Allow More Pollution? Most of the coal-burning power plants in the Midwest are more than 25 years old. have to install modern pollution controls if they undergo any major upgrades. Recently, the EPA relaxed standards on New Source Review regulations. plants to improve and modernize their operations. But environmentalists say the Bush Administration is catering to big business. changes to New Source Review regulations will let old power plants stay dirty. power plants plans to file suit challenging the changes. Lorraine Kellerman operates the mercury separator in one dental office. Kellerman says it's easy and satisfying to recycle the mercury. Tim Tuominen has been working with Duluth area dentists to reduce the mercury going into the city's wastewater. Health officials warn pregnant women and children to avoid eating certain kinds of fish. tiny portion of that would be enough to warrant fish advisories. years to reduce the mercury they wash down the drain. container and bring the contents to the district’s recycling program. plant was cut in half, and it’s been reduced even further since then. dentist who would agree to use it. she goes down to the basement where a tank, like an aquarium, collects the finer particles. The heavy amalgam settles to the bottom of the tank. Once a year the amalgam that collects at the bottom is cleaned out and recycled. Kellerman’s boss is dentist Jim Westman. $500, and the recycling charge is about $50 a year. of mercury. Westman says they want to make it easy for dentists. feel they should do their part. keep dental mercury out of the environment.